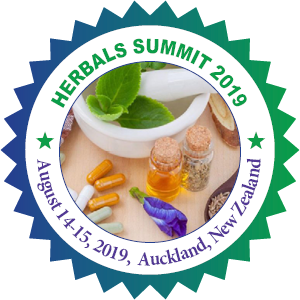 After a successful conference of Herbals Summit 2018, Conference Series LLC LTD is currently bringing "5th Global Summit Herbals and Traditional Medicine" (Herbals Summit 2019) slated on August 14-15, 2019 Auckland, New Zealand. The conference invites all the participants across the globe to attend and share their insights and convey recent developments in the field of Herbals and Traditional Medicine. Herbals Summit 2019 is expecting the participants from all over the world in various fields of Herbal Medicine and Traditional Medicine. This combination of audience will give an ideal blend to justify our theme “Unwinding Nature’s Recipes for Health” Traditional Meetings welcomes all the experts in this field to explore their research and views towards the theme of this congress.